San Diego, CA. February 27th, 2018. Immigration attorney Steven Riznyk has been working with H1b visas for 30 years examines some controversial issues related to the H1B visa. This visa has undergone a lot of changes since 1952 and is today almost unrecognizable; this may soon change if it disappears. The H1b visa is the degree used by degreed individuals seeking to work in the United States. Although it is meant to be a temporary visa, it also provides a free pass under what is called the ‘Dual Intent Doctrine’ (DID). 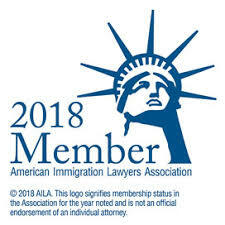 Under DID, visas such as the H, E, L, and O allow a person to enter the United States with a temporary intent, but then apply for a Green Card, even though it demonstrates permanent intent. Thousands are removed from the US every year because they are here on a visa such as the student visa and then apply for a Green Card because it does not fall under the DID. The Dual Intent Doctrine has made the H1b a key to immigrating to the United States. Another issue the H1b faces is that it is not well-balanced. A well-educated cardiologist or scientist who wants to work under the H1b is subjected to the same ‘lottery’ as the tens of thousands of software techs that enter annually. Some argue we require the technology help. Others argue that we cannot learn from the talents of others if they cannot obtain a visa to enter and share their foreign knowledge and experience. The best way to deal with this argument, states Steven Riznyk, is to simply split it up and rename it. If the tech sector requires all of the foreign workers it hires, then perhaps they should have their own visa so that we can remain globally competitive. This would allow the opportunity for people who were originally envisioned to enter on the US a chance to share their foreign knowledge. Once the visas are split up, it would allow the opportunity of deciding which aspect, if any, can lead to a Green Card. With more control over the many sub-categories of this visa, it can still be saved in one form or the other. In the meantime, April 1st is the deadline for filing, and it will be interesting to note what happens this year. There are more people than ever applying and on the other hand they are getting harder to win; it will be interesting to observe how it plays out.